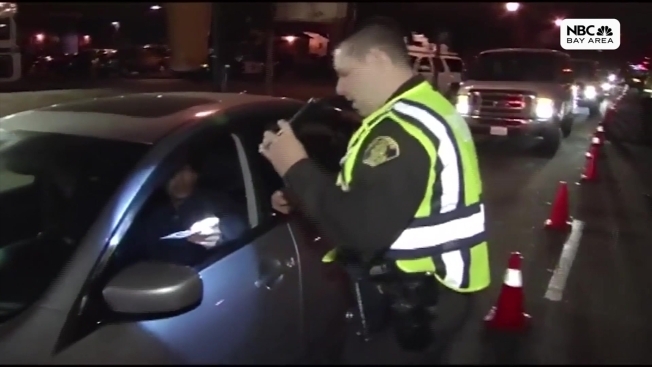 The California Highway Patrol will be ramping up patrols throughout the Thanksgiving holiday weekend to ensure that drivers travel safely. All available officers will be observing drivers for speeding, distracted driving, signs of driving impairment and seat belt violations during the agency's maximum enforcement period, according to CHP. Of the 46 people killed in collisions within the agency's jurisdiction during last year's maximum enforcement period, 27 people were not wearing a seat belt, CHP said. "Whatever your destination this Thanksgiving, remember to buckle up and avoid distractions while driving and give yourself plenty of time for your trip so you and your passengers can arrive safely," CHP Commissioner Warren Stanley said in a statement. The extended holiday weekend is known as one of the busiest travel times throughout the country. In 2017, the Automobile Club of Southern California reported that an estimated 5.37 million Californians were planning to travel by car during this Thanksgiving holiday.